We’ve recently purchased this superb Volvo FM 8×4 from a Generator Company based in London. 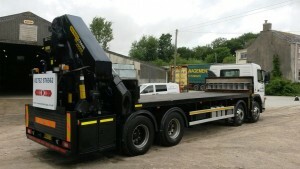 The lorry is in superb condition and was built to specification from new by Volvo. The bespoke build includes a rear mounted Palfinger 56 t/m crane which can lift 12t at close range, a heavy duty body and excellent storage for all the equipment we need to carry. 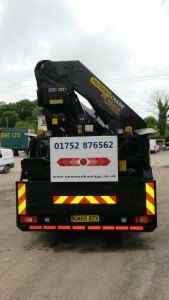 Bill is settled in his new lorry and looking forward to great performance from both the truck and crane.